Vegetables? Gross.Vomit? Double gross. Dog food? Ick! Being sick? Nasty. There aren't many things out there that don't completely gross out Disgust. But that's her job after all, to protect Riley from being poisoned both physically and mentally. 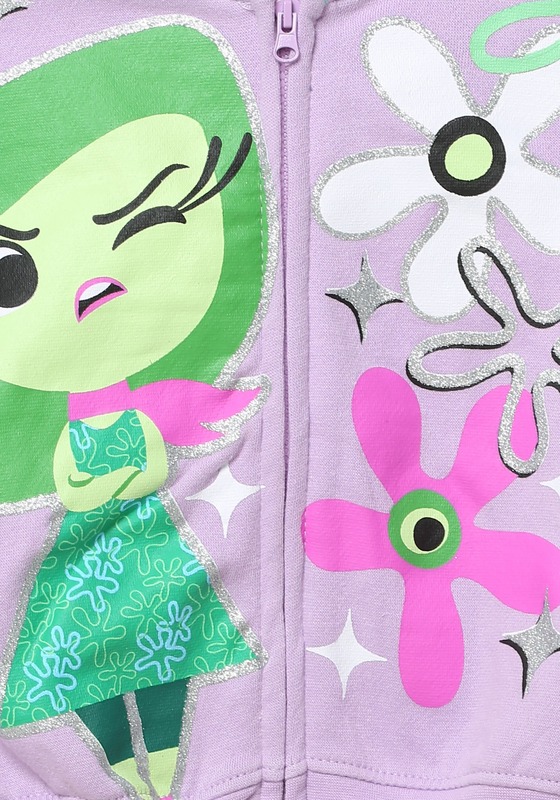 What would we all do without that sassy little green emotion inside of us? We'd probably have a lot more contact with gross things everyday! 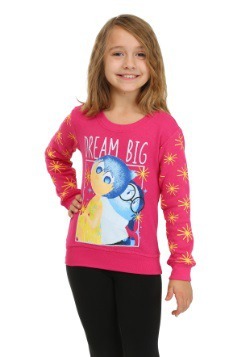 Teach your little angel to stay away from germ infested things with the help of this Inside Out sweatshirt. You'll love seeing her cute little lip turn up while muttering, "ewwww" while she's wearing this movie inspired hoodie. 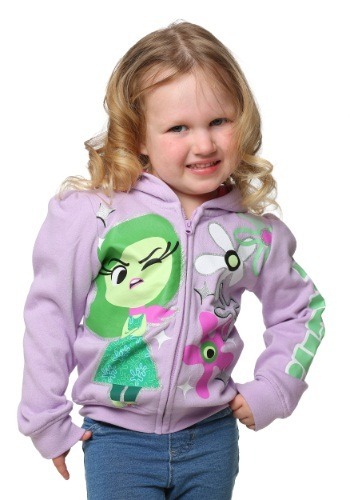 This cotton/polyester fleece hoodie is great for toddlers who love to watch the Disney/Pixar movie, Inside Out because the stylish Disgust is right on front, wearing her pink neck scarf and folding her arms in distaste. Bright colored flowers decorate the other side of the hoodie. The word "Meh!" is featured on the left sleeve of this officially licensed hoodie, which is one of Disgust's all time favorite catchphrases. Just zip up the sweatshirt and your daughter will be ready to go out in the world and get in touch with all the different emotions that are inside her! 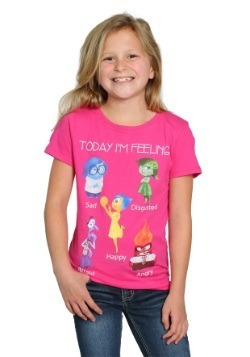 2T - $4.99 Only 7 left!